Cars, buses, and most vehicles use gasoline or diesel to run. With today’s fast-paced world, everyone needs to buy fuel for their vehicles or other petroleum-based products, including kerosene and LPG (liquefied petroleum gas) for their daily needs. And even those who don’t directly use these gas station products still indirectly ‘need’ these because public transportation as well as delivery trucks run on these fuel. You can’t buy the stuff you want from the supermarket or grocery store if these products were not delivered there! Likewise, you can’t get to many destinations if public transportations stop running because these no longer have gas. In short, the demand for products in gas stations will always be high. You can use that fact to your advantage, if you are planning on opening a business. 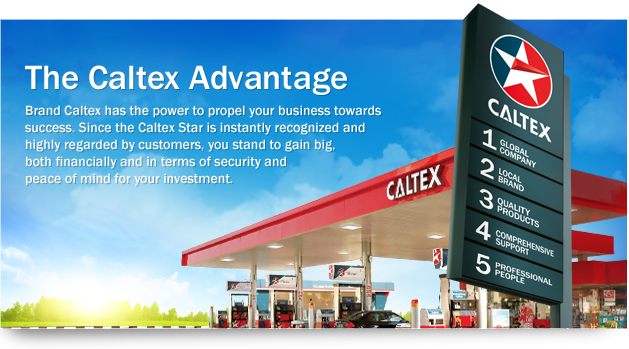 One of the largest and well-known gas station companies, CALTEX is a good choice when it comes to picking the company you want to franchise. CALTEX (Philippines) Inc. is a brand by Chevron Corporation. The company was founded in 1936. By 1954, CALTEX opened its first oil refinery in the Philippines at the Malampaya natural gas field. At present, Chevron operates nearly 700 CALTEX gas stations across the Philippines. Aside from selling gasoline and diesel, the company also offers a wide range of petroleum products, such as kerosene, lubricants, and fuel additives. Did you know that CALTEX also provides jet fuel for airlines operating at the Ninoy Aquino International Airport (NAIA)? Step 1. Gather all necessary requirements and pitch your proposal for approval. Chevron requires prospective franchisees to comply with the brand’s requirements before they are considered for approval. The prospective location should have a frontage of a minimum of 40 m, a minimum lot size of 1,200 sq m, and a lot lease agreement that has a minimum secured term of 10 years. The approved gas station’s building and structure as well as equipment, signage, and branding will be handled by Chevron. Everything must meet the company’s standard. Step 2. Submit the application form and other relevant documents. Step 3. Attend scheduled interviews; these are often done at the applicant’s home. Step 4. Get ready for background checks, including your financial background and whether you can sustain running the gas station. Step 5. Attend all meetings scheduled by Chevron. Step 6. The application will be presented for the approval of the Retail Selection Board. Step 7. Once your application is approved, you and Chevron will sign the contract. 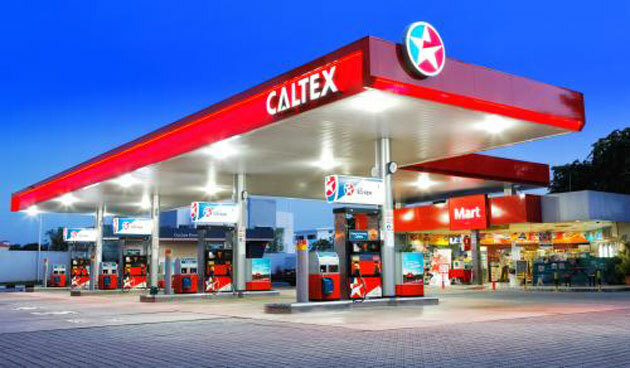 Amazingly, Chevron does not collect a franchise fee so you can operate a CALTEX gas station! However, bear in mind that the minimum required investment is Php5 million. Step 8. All new franchisees are required to attend the 2-week New Retailer Training Course.